What a rascal! The flamboyant and mischievous flute player dances for anyone and especially the young maidens! A current favorite among southwest motifs. Block size is about 10x16. 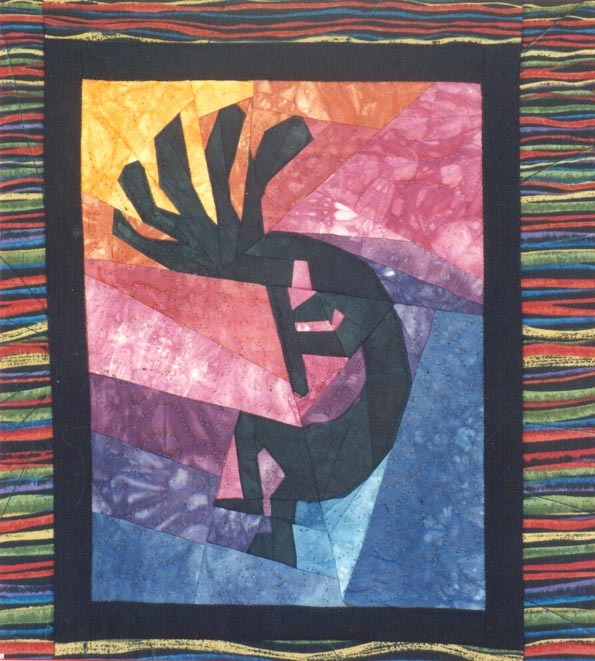 Can't you just see several of these dancing around the border of a quilt or maybe on the window valances? ?